This is where Quantico Baptist Church used to stand. In the late 18th and early 19th centuries, it was also known as Independent Hill Church. The entrance of the church is on the left and faced toward Aden Road. 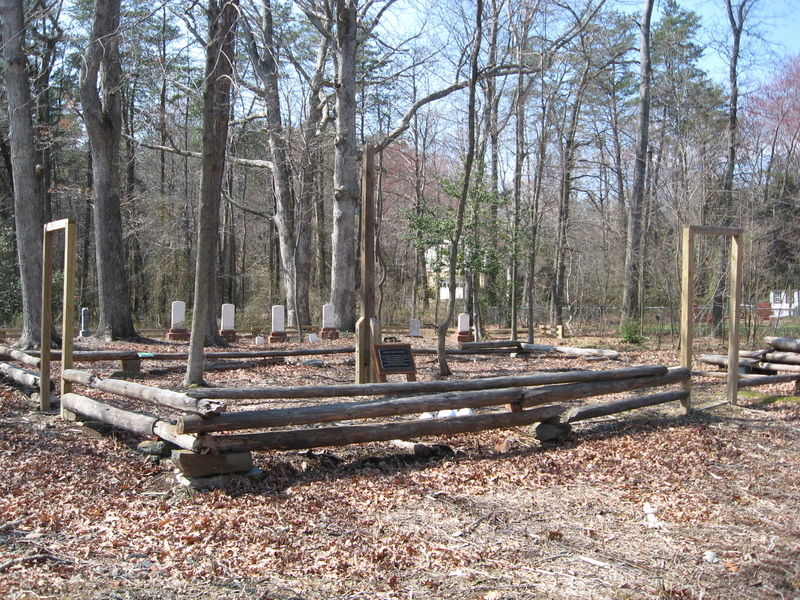 In the background, some of the headstones can be seen. Dan Weber, “Quantico Baptist Church Cemetery,” My Cemetery, accessed April 20, 2019, http://mycemetery.org/items/show/160.